If you are Moving to Brisbane soon this may be of interest to you. 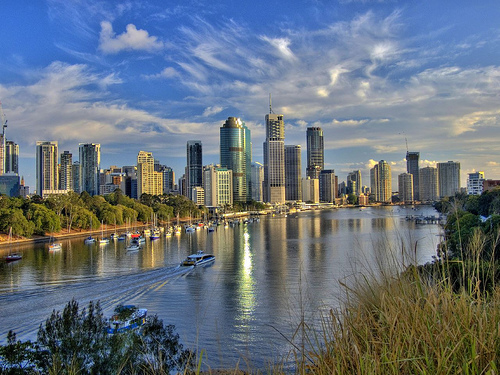 Thousands of people move here each year in search of better jobs, more opportunities and a relaxed lifestyle that a Move To Brisbane can offer. Interstate Furniture Removals is moving many of its customers to Brisbane and its surrunding areas from all over Australia. Why is Brisbane a great place to live? Sometimes it’s the smallest things that make a difference…such as a fellow commuter saying hello to you on the train, it’s knowing your home is near a safe, clean park, it could be being greeted by sunshine most days of the year, having fantastic theatre, restaurants, markets and more at reach but still enjoying a laidback feeling in the city. ‘Friendly’, ‘inclusive’ and ‘relaxed’ are words that spring to mind when we try and describe our city. So, if you are thinking of moving here, we’ll connect you to the information you need and the assistance of professionals. Its best to use an experience Interstate Removals Company such as Interstate Removals. Most people find hiring a truck or selling and re-purchasing their goods too difficult and expensive. When you first move, it’s likely that you will need to rent a property. Try Realestate.com to find your new property..
Search for with our job search partner, CareerOne. If you are moving to Brisbane from somewhere other than Queensland, you need to transfer your driver’s licence. The Department of Transport answers the questions about transferring your licence. And if you are moving from within Queensland, you need to ensure your address details are current. You can do this online at the Department of Transport website. Moving house, especially if you are moving cities as well, takes a lot of organisation. Our Interstate Removalist Tips provide a practical countdown to the tasks before moving day. Plus, we’ll connect you to Brisbane-based services that can help. It is illegal to keep a rabbit or hamster as a pet in Queensland.